Do you want a calculator for your Website? 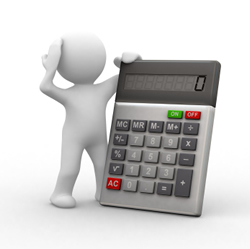 Settlement Quotes released our discount rate and present value calculators for the public earlier this month. Now, we are providing a way that individuals can place our calculator on any website so consumers will be further educated about discount rates and pricing of structured settlement factoring transactions. At this time there is not a reliable source for consumers to understand or price a structured settlement factoring transaction on their own. The only other known source by this author is TValue which costs in excess of $2k. Now, there is an opportunity for structured settlement brokers, judges, and attorneys to place these calculators on their websites, so tort victims will have the resources to price the present value or discount rate of their structured settlement. Please note that there is a small bug if you place more than 1 calculator on the same page. Please only place 1 calculator on any given page, otherwise they will not function properly. This should be fixed by Saturday.